War in the north. Skill injectors taking the market by storm. Citadels on the horizon. Less useless modules. New Eden is prepared for a coming flood. When the Citadel release happens on April 27th, EVE will arguably be in the most refined state it has ever been in. Through continual updates, CCP has honed the New Player Experience. From increasing the initial number of skill points to revamping and simplifying the tutorial, a new player joining today gains a much better understanding of the universe than one who started in 2012. Also through these updates, a number of fundamental game mechanics have seen significant changes such as sovereignty. At the same time, EVE’s module selection and statistics have been streamlined through the process of “tiericide”. There are less useless modules, and there are now clear lines showing which modules are better than others for any given job. Capital ships, once a stunning symbol of stagnation and boredom, are being reworked for the Citadels release. Carriers have new ways to control their fighters and new force auxiliary carriers are poised to revolutionize the triage system. Finally, even the rough edges around EVE’s unique skill training system have been finely cut and groomed with the introduction of skill injectors, lending the new player help to bridge the canyon between them and the 2003 pilot, leaving more to personal skill as opposed to simple longevity. Besides successfully refining the game into a smoother product, CCP has to expand the appeal and experience of EVE. Project Discovery has jumped EVE significant leaps and bounds in its “Real Life Science Fiction” mantra, as players can now use an in game system to benefit actual research and get rewarded for it in-game. CCP has also attempted to expand into other markets. Between EVE: Valkyrie for an Oculus Rift launch title, and the upcoming EVE FPS coming to PC, New Eden is being exposed to entirely different types of people, sparking interest in them to come check EVE out. This will hopefully help to diversify the population of EVE significantly. Too long has it been stuck in a certain type of gamer population bracket. EVE has also been getting a lot of press lately. Starting with the pretty lights of Asakai, and continuing with the struggle of B-R5RB, major news sources began to cover EVE to some degree. The outside world became interested in the player driven sandbox, and and began to look with curious eyes. 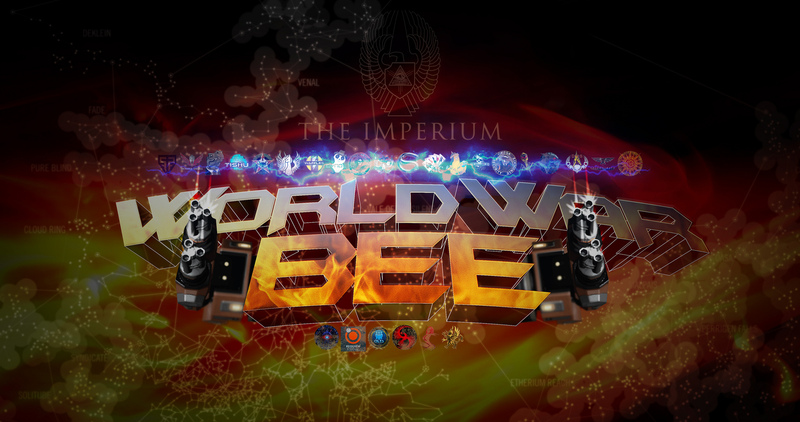 The recent war in the north, dubbed “World War Bee”, has brought EVE back into the wider world’s view with a new bit of press coverage. The outside world’s eyes have now started to gaze back into the sandbox to see if any more spectacles on the scale of B-R will happen. CCP has also recently upgraded EVE’s server hardware and software. Between the third iteration of state-of-the-art parts being implemented into the Tranquility cluster, as well as Brain In A Box (a project that was in the making for 5 years) offloading many calculations from Tranquility, New Eden runs smoother than ever now. EVE is the most responsive it has ever been. The book Empires of EVE recently launched, and allows everyone to view the player history of New Eden in a literal history book, and of course, let us not forget the monument. CCP was so proud of their work, they erected a statue in Capsuleer’s honor endowed with the names of the 500,00 people at the time of conception, allowing all of those laying anchor into Reykjavik’s harbor to see the virtual world meet the real world. 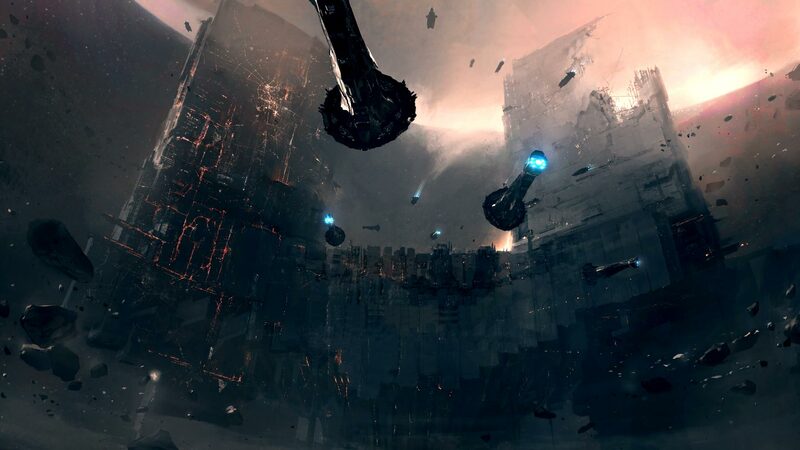 EVE has occasionally struggled with providing consistent and interesting content for its players. It has always gone with the motto “make your own content”, but sometimes that just doesn’t work out for people. Sometimes the content becomes stagnant, or boring, and players never really feel like they are working towards a goal. For the longest time, the situation in nullsec was rather dull. Fights would happen between approximately the same people, and not really much would change. The territory borders looked largely the same for quite a while. Suffice to say, this is no longer the case. Due to World War Bee, content is ripe and juicy in nullsec. Large bands of alliances now have things worth fighting for, and World War Bee looks to be the first real shake-up of the status quo in nullsec since quite some time ago. With the introduction of shattered wormholes and new capital escalations coming with Citadels, wormhole space will have more content than ever, and becomes more interesting than it ever was. Also, let’s not forget that a lot of new Drifter lore seems tied to wormholes in some way, giving more of an incentive to go out to explore and discover. Last but not least, with the introduction of Citadels themselves, hisec and lowsec will have an entirely different feel and flow to them. Players will have their own “pseudo-stations” to dock up in, and even run a market out of, among other things. Think of a new player who sees a capital ship for the first time and thinks “Wow, I can’t wait to fly that!” With the new Capital system, that goal is well worth it. The content is out there right now for the taking, players just have to go and get it. So to the people who are thinking of joining the ranks of capsuleers, come one, come all. EVE is sitting at perhaps the best time in its history for you to join and never leave. There is an abundance of content that will not dry up soon, and is just waiting for someone to go and get it. And while you’re joining, bring your friends. New Eden is prepared for you.